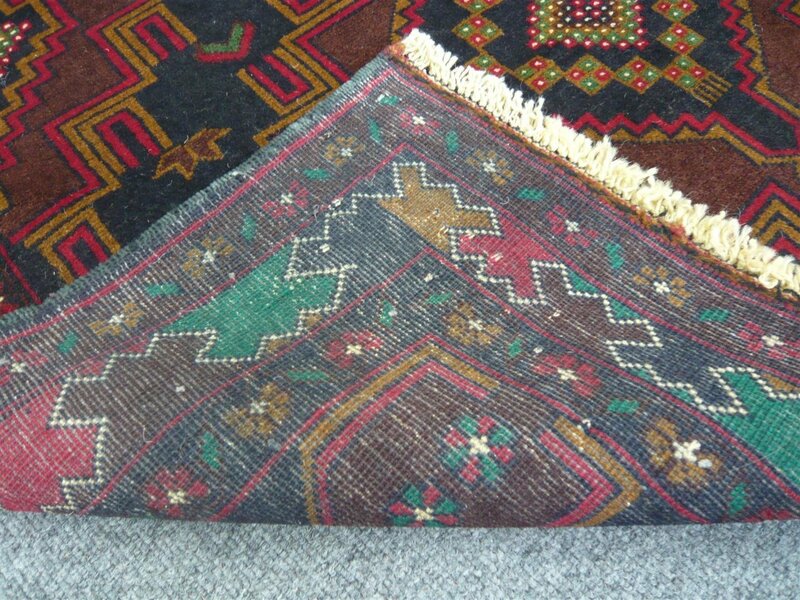 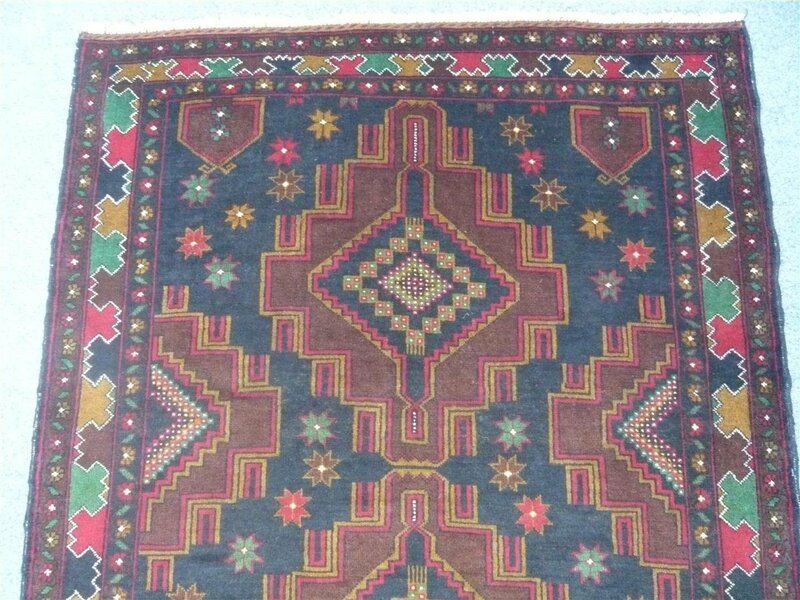 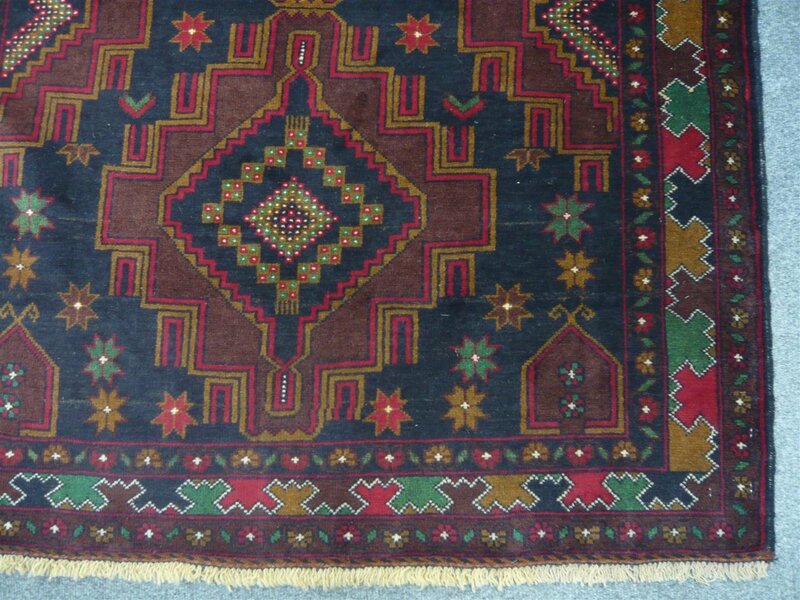 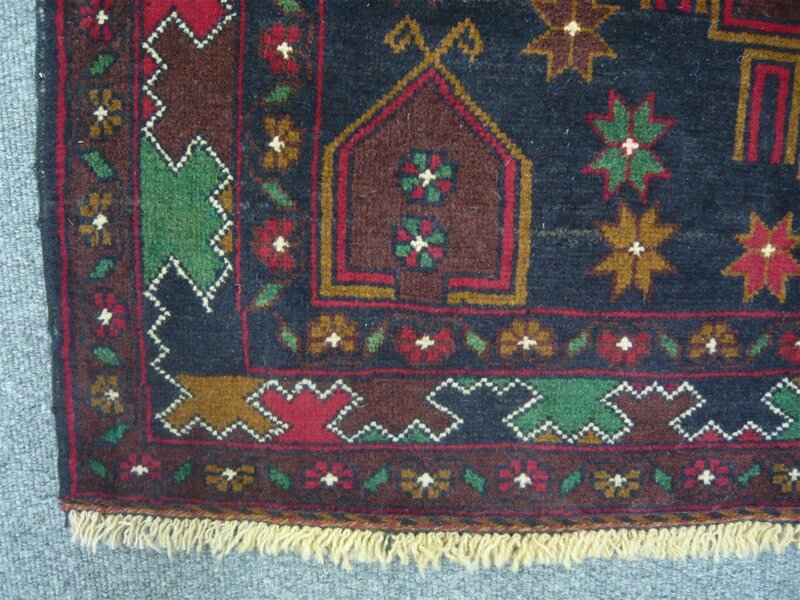 Hand knotted by Afghan weavers, 100% wool pile on a wool foundation. 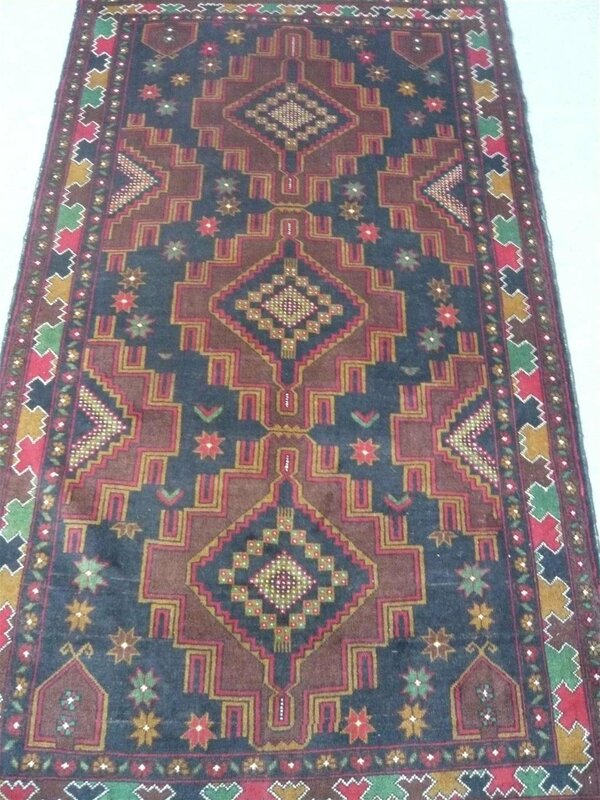 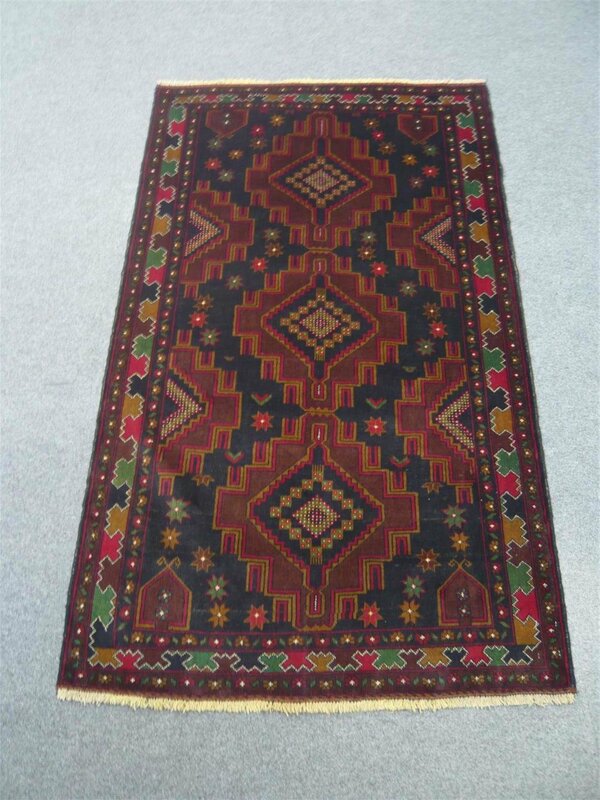 This rug measures 6 feet 3 inches long by 3 feet 8 inches wide. 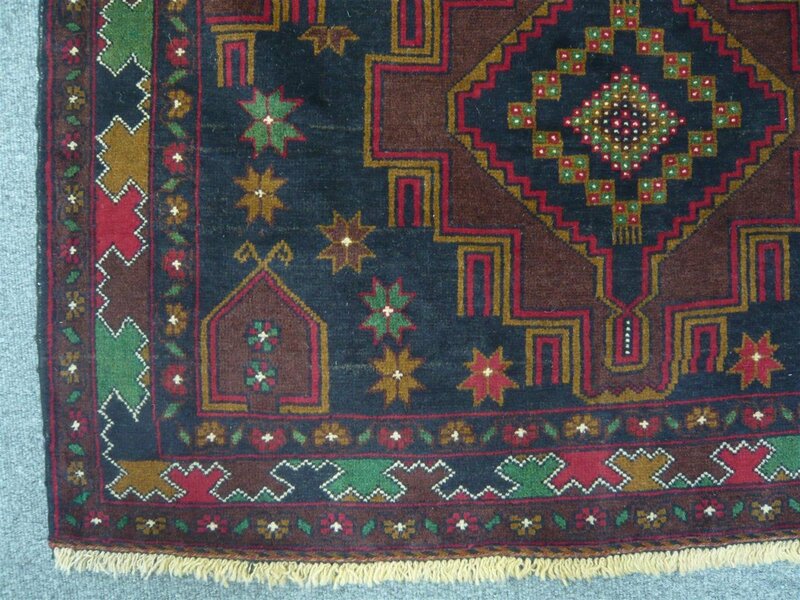 ( 1.90 x 1.12 metres ).